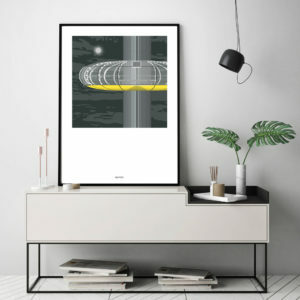 This blank card features Brighton’s iconic Music Bandstand and is the perfect gift for anyone who loves Brighton architecture. 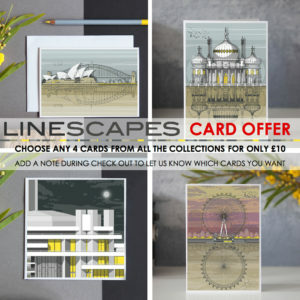 Brand new cards featuring the most popular Linescapes designs on a Night version background. Part of our brand new Brighton placemats, these are available as individual items or as set of 4 and make the perfect present for the architecture lover in your life. Our latest print of the Bandstand is a highly detailed illustration showing its beautiful detailing. We hope you like it! This blank card features Brighton’s Beach Huts and is the perfect gift for anyone who loves Brighton architecture. A new version of our popular Pavilion tea towel with edge-edge image and beautiful blue sky. 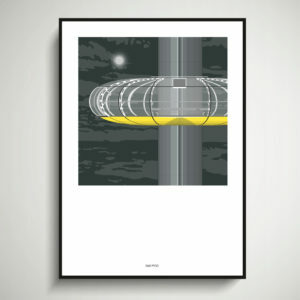 This is the perfect gift for anyone who loves Brighton architecture. This blank card features one of Brighton’s most beautiful squares and is the perfect gift for anyone who loves Brighton architecture. This blank card features the now-disappeared Daddy Long Legs and is the perfect gift for anyone who loves Brighton history. 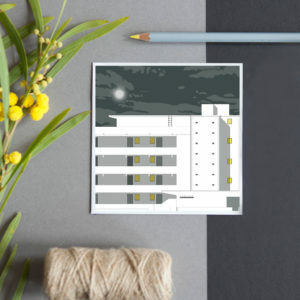 This blank card features the iconic Embassy Court in Brighton and is the perfect gift for anyone who loves Brighton and Modernist architecture. 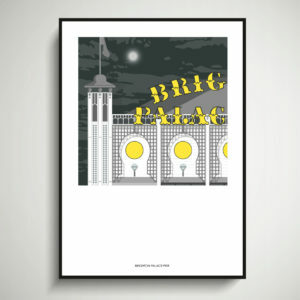 This beautiful tea towel is the perfect gift for anyone who loves Brighton architecture. 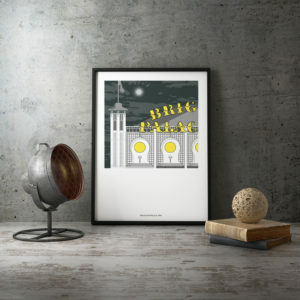 This prints feature a triptych showing three of Brighton’s most recognisable landmarks: Royal Pavilion, Brighton Pier and Bandstand. 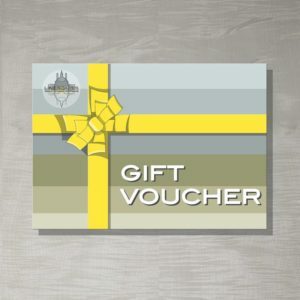 This blank card features one of Brighton’s most iconic squares and is the perfect gift for anyone who loves Brighton architecture. 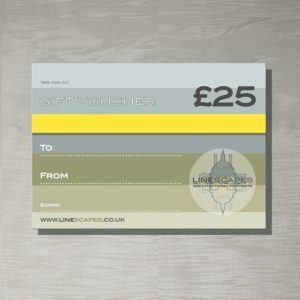 This blank card features part of one of Brighton’s most iconic squares and is the perfect gift for anyone who loves Brighton architecture. 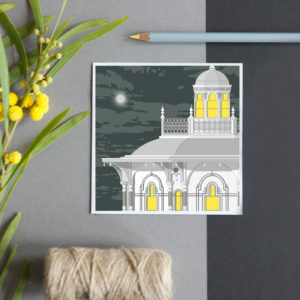 This blank card features Brighton’s Royal Pavilion and is the perfect gift for anyone who loves Brighton architecture. 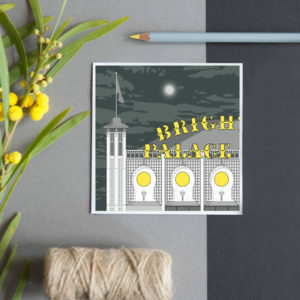 This blank card features the entrance to Brighton’s Royal Pavilion and is the perfect gift for anyone who loves Brighton architecture. 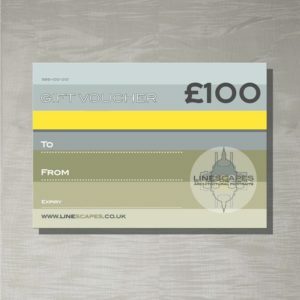 This blank card features Brighton’s Pavilion and is the perfect gift for anyone who loves Brighton architecture. Our new moulded melamine sandwich tray featuring a detailed illustration of the iconic Royal Pavilion in Brighton with a sunset background colours. These brand new Brighton placemats are available as individual items or as set of 4 and make the perfect present for the architecture lover in your life. Matching coasters available. The Volks Railway was an electric railway operating over a quarter of a mile of 2ft gauge line extending from a site on the seashore opposite the Aquarium to the long-gone Chain Pier. The kiosk was one of six that adorned the now-derelict West pier when it opened in 1866. Its oriental design was inspired by the Royal Pavilion. 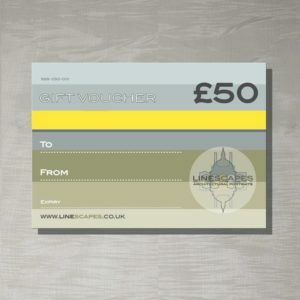 This blank card features Brighton’s West Pier Kiosk (nor derelict) and is the perfect gift for anyone who loves Brighton architecture. Our new moulded melamine sandwich tray features three of the city’s most recognisable buildings: St Paul’s Cathedral, Tower Bridge and London Eye with a sunset background colours. This beautiful mug features to popular i360 Tower and is the perfect gift for anyone who loves Brighton architecture. This blank card features the iconic Saltdean Lido and is the perfect gift for anyone who loves Art Deco and Modernist architecture. 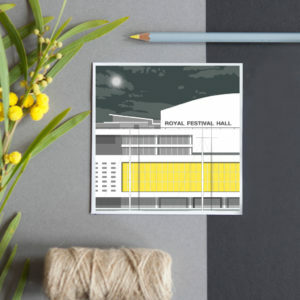 This blank card features the iconic Shoreham Airport and is the perfect gift for anyone who loves Art Deco or Modernist architecture.